Hereditary hairlessness is genetically transferred in an autosomal codominant trait. Hairless dogs possess the causative mutation heterozygously and are therefore able to have hairless as well as normal puppies. Dogs without the mutation are called Powderpuff and exhibit normal fur. Distinguishing Powderpuff dogs and hairless dogs is sometimes very hard for Chinese Crested breed, as the parts with the remaining hair can take various shapes. Dogs which are homozygous for the mutation die as embryo during gestation. 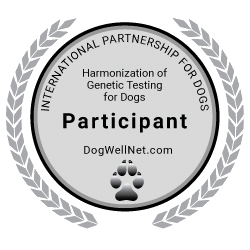 Please note, that this genetic test is not validated for proving hairlessness in American Hairless Terriers.